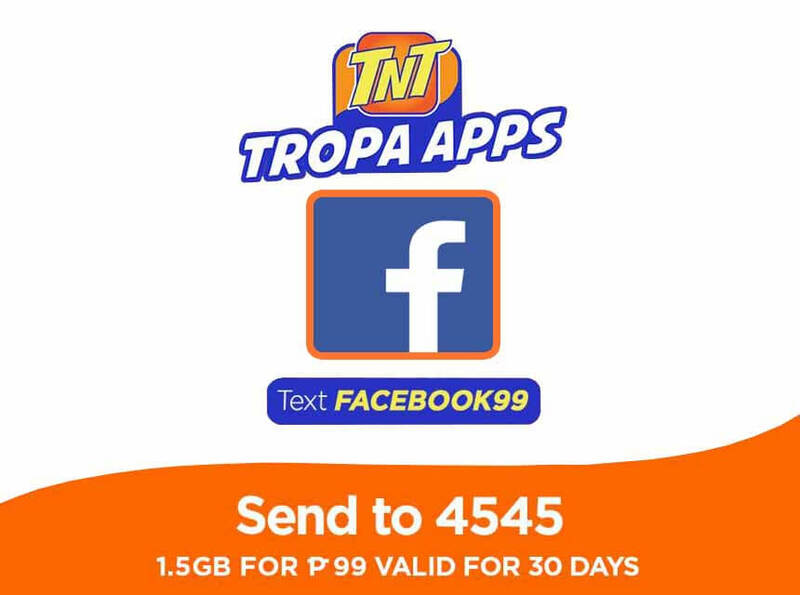 If you’re on a tight budget and still want to enjoy internet access to Facebook using Talk N Text, you can still avail their latest offer for only 99 pesos good for 30 days. Connect to your loved ones online and be updated with their latest feeds for the whole month by subscribing to TNT FACEBOOK99 promo. If you prefer one time registration only, then this is the right promo that you can enroll without texting the keyword daily. This is more affordable than the usual 50 pesos budget for mobile internet access if you’re main purpose is only for Facebook and Messenger. You only need 99 pesos plus a maintaining balance to enroll with FB 99 promo. To subscribe or register, you can do it via SMS text keyword or ask your load retailer to look for this offer on their loading SIM menu if it’s already available. Please see below details for your reference. For 1 week or 7 days Facebook check the new FB50 TNT offer. If you want 3 days Facebook access for only 10 pesos, take a look at FB10 Promo to see how to avail this offer via SMS. Take note that after you consume your 1.5GB of data allowance for the month, you need to register for another TNT Surf, Data and Apps Promo offers. Be wise on spending your data, you can turn off the auto-play video option and set it to a lower resolution to save bandwidth. For updates, you can directly visit TNT website and social media pages. 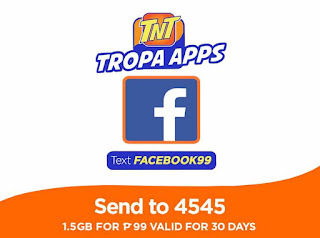 TNT facebook promo can use video call in messenger? pag gumamit po ba nang video call in messenger pero naka unli na po sa FACEBOOK99 may charge po ba if ibang bansa ung ginamitan ng video call messenger.